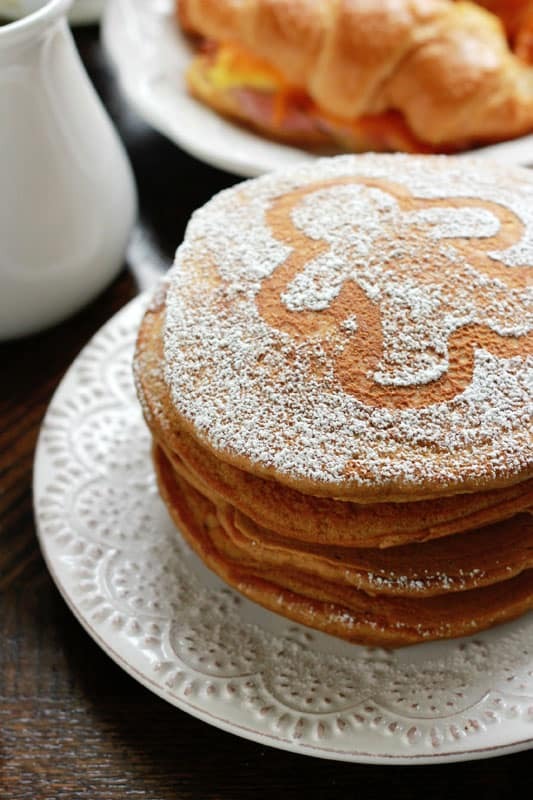 Gingerbread Pancakes. Bring a classic holiday flavor into your breakfast with this easy pancake recipe. Cinnamon, Ginger, and nutmeg blend together with molasses for that beautiful holiday blend! Every year I seem to pick a theme with my Christmas recipes. 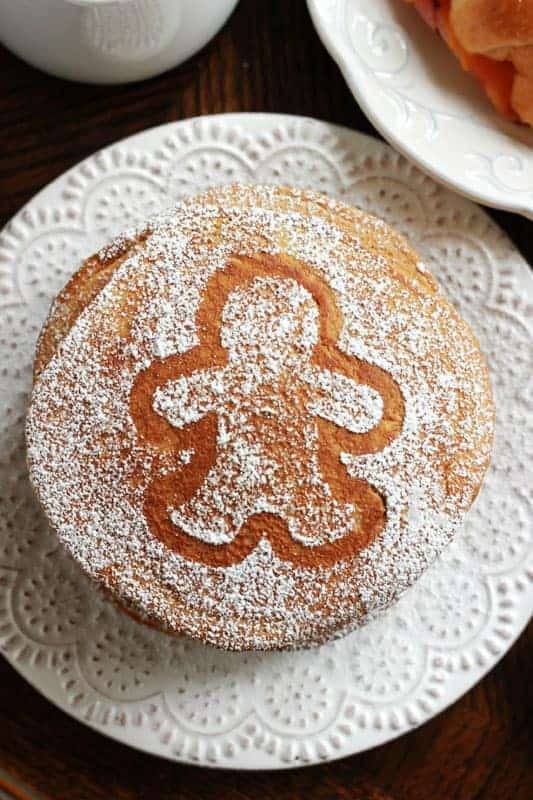 Which left GINGERBREAD for this year. I am totally digging the molasses addition to baked goods. I think I got onto this track when I made my gingerbread biscotti. Those crunchy little cookies were perfect for my cookie trays and the extras were devoured with our morning coffee (biscotti makes for an excellent dipping cookie!). However, they left me with some extra whole wheat flour and I could not just let that go to waste! The idea for a pancake version came from my six year old. Like this recipe? You will love my Gingerbread Latte, Gingerbread Biscotti, and Gingerbread Cookies! Whisk together your flours, baking powder, baking soda, salt, ginger, cinnamon, and sugar. In a small measuring cup combine the egg, vanilla, molasses, and water. Stir into the dry ingredients. Heat a skillet over medium/low heat. Pour 1/2 cup (or 1/4 for smaller pancakes) of batter onto the pan. Cook until edges are slightly browned and bubbles appear on the top. Flip and cook 1-2 minutes more or until lightly browned.